Commercial trucks can cause serious damage in a crash. Many people involved in these dangerous accidents sustain severe, and often life-changing, injuries. In a situation like this, working with a law firm that not only has experience, but also has a history of strong commitment to its clients and its community, is important. 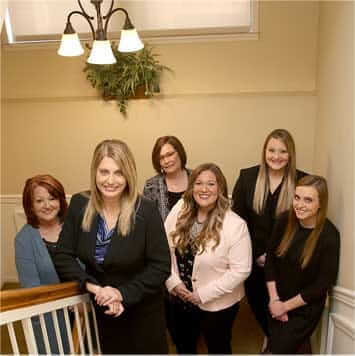 Ogle, Wyrick & Associates, P.C., has served Sevierville and the surrounding communities for more than 60 years. Our truck accident attorneys are committed to helping you make a full recovery after a serious collision. We help tourists and visitors seek compensation for truck accident injuries. If you were hurt while visiting our area, please schedule a free consultation with one of our attorneys today. Eighteen-wheeler accidents happen in a split second, often leaving those who are seriously injured feeling overwhelmed. Let us help you bring things into focus. Our personal injury attorneys understand the federal regulations that commercial trucks must abide by, and they know how to effectively interact with insurance companies to pursue a favorable settlement on your behalf. If negotiations prove unsuccessful, our lawyers won’t hesitate to be your zealous advocates in court. The first step in determining how to approach your truck accident case is to carefully review the circumstances surrounding it. Our lawyers will review the accident report and important information about the truck and its driver, including how many hours the driver had been on the road and whether the truck had undergone proper maintenance. To begin your road to recovery, meet with us in a free initial consultation. To schedule an appointment, call us at 865-453-2866 or send us an email.